Ordinarily, we’d take the time to make some kind of joke about how you’ll be taking your chances on a movie ticket giveaway, but if you’re in Chicago, the clock is ticking on the opportunity to see Marshall for free. 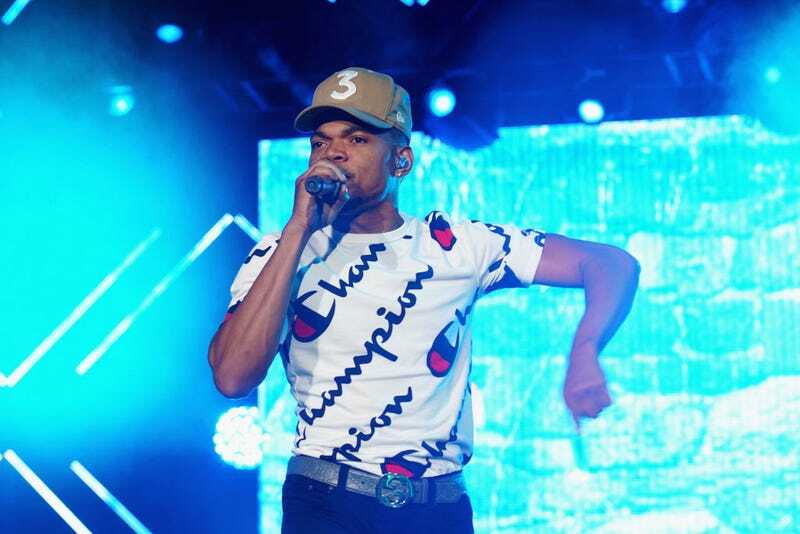 Chance The Rapper has bought out two 3 p.m. showings at Chicago theaters: the Kerasotes Chicago Showplace Icon at 1011 S. Delano Street and the Chatham 14 Theatre, located at 210 W. 87th Street. Chance, who notes he doesn’t usually do his own press, is inviting Chicagoans to see Reginald Hudlin’s film starring Chadwick Boseman as the late Supreme Court Justice Thurgood Marshall.